The campus is located centrally offering students the opportunity to find casual and part-time jobs in the area. RMIT, a global university of technology, design and enterprise and one of Australia’s original tertiary institutions, enjoys an international reputation for excellence in practical education and outcome-oriented research. International students make up one third of our student population with more than 12,000 students in Australia and, including RMIT Vietnam, over 14,000 studying offshore. 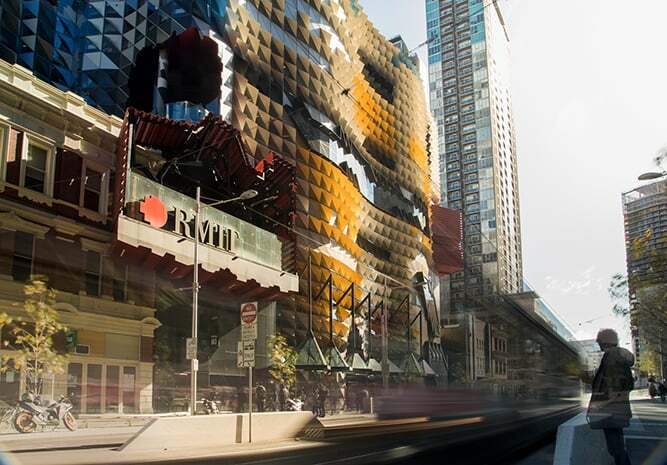 RMIT Melbourne welcomes international students and offers rich study and life experiences, close to public transport, accommodation and a vibrant lifestyle and culture. The University’s student population of more than 84,000 includes 26,000 international students from over 150 countries. There is a lot more to RMIT than just lectures and tutorials. 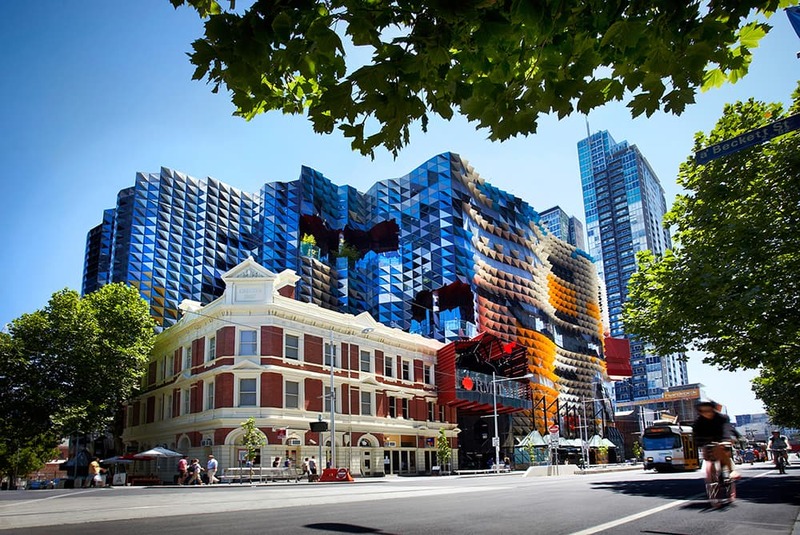 RMIT is located near Melbourne’s social, cultural, arts, and sporting events. And within walking distance to the city’s main recreation centres, food courts, trams and train stations. This central location also makes it easier for students to find casual and part-time jobs in the area, to support themselves throughout their studies. When you study at RMIT you’re part of a vibrant and welcoming university. As a student you can choose from range of activities and programs. RMIT has over 100 student clubs, societies and collectives to choose from. You can even start your own club. Our clubs and activities are a great way to meet new friends, develop new skills and connect with people who share your interests. 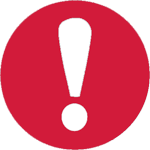 RMIT is a global university recognised for leadership and innovation in technology, design and enterprise. At the University, students learn from experts in their field of study, while benefiting from the strong industry connections and a curriculum influenced by the latest industry trends. Over 50% of RMIT programs offer internships, placements and industry work experience at companies ranging from L’Oréal to the United Nations. The curriculum is designed to let students put theory into practice by working alongside some of the world’s leading organisations and developing the skills employers value most. As one of Australia’s top 5 universities for international exchange, RMIT offers students the opportunity to make their mark on the world through a unique study experience tailor-made for the individual. With campuses in Melbourne and Vietnam as well as access to over 150-plus partner institutions, studying at RMIT becomes an enriching experience. As a QS 5-star rated institution, RMIT is ranked as one of the world’s leading universities with a strong research record and state-of-the-art facilities and infrastructure. Whether students complete their degree in Australia or on exchange anywhere in the world, RMIT aims to provide the best experience possible along with the skills to succeed in students' chosen career. Founded in 1887, RMIT has grown alongside the city of Melbourne. RMIT is home to approximately 12,000 international students from more than 100 countries. RMIT encourages students to satisfy their curiosity about the world while developing the skills and direct industry experience that sets graduates apart and make employers sit up and take notice. This content is a paid advertisement by RMIT and is not associated with or necessarily reflective of the views of DAWN.com or its editorial staff. Please open a campus in Karachi Pakistan. Sounds fishy when 25% enrollment is of International students. Normally it is a sign University wants to make money from International students. UNIVERSITY COST IS VERY HIGH .PAKISTAN CAN ???? Pakistani students who have completed O level or A level or FSc should try to get admission in this university rather than getting admission for higher education and no jobs. Do they offer fully funded 100% scholarship? It gives me a lot of pleasure to had perused through this piece of information about the university.This has really motivated me to be a prospective student if given the opportunity to study in such a prestigious institution.